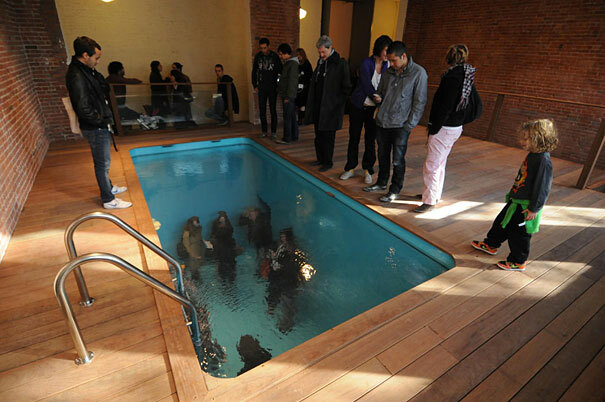 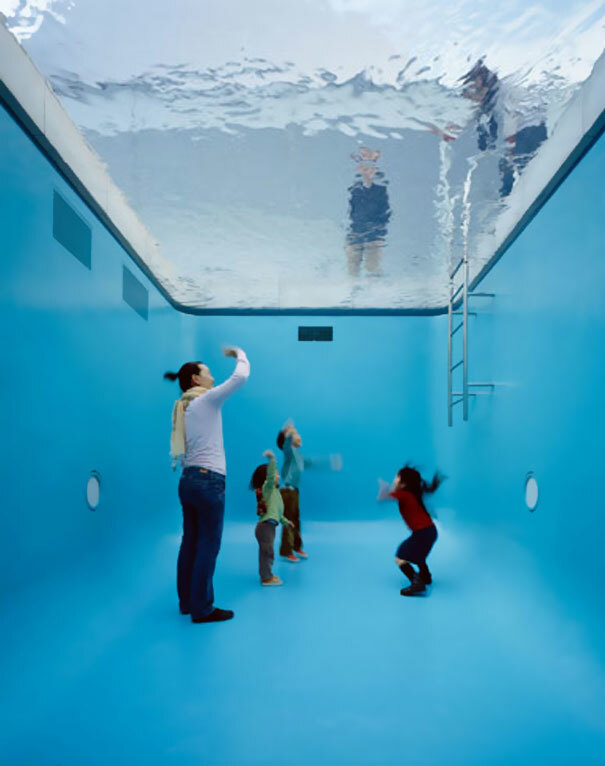 Argentinian artist Leandro Erlich has constructed a full-size fake swimming pool, complete with all its trappings, including a deck and a ladder. 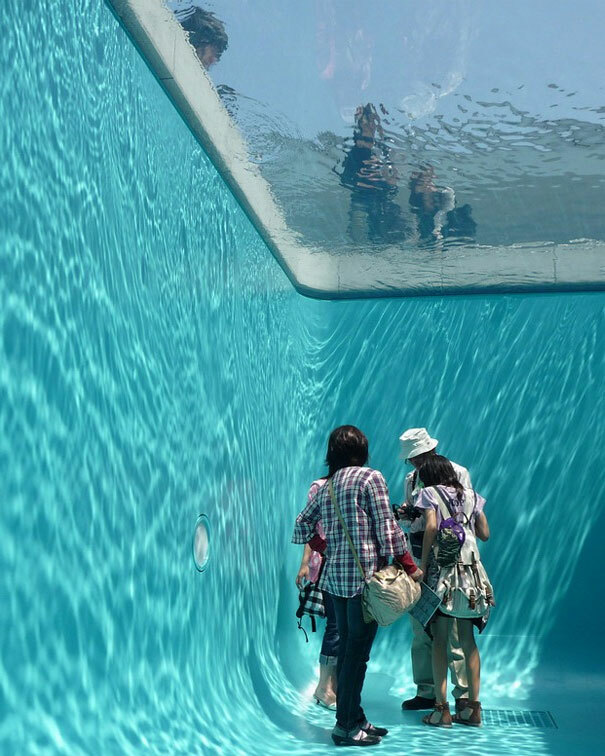 When seen from the deck, the pool appears to be filled with deep, shimmering water. 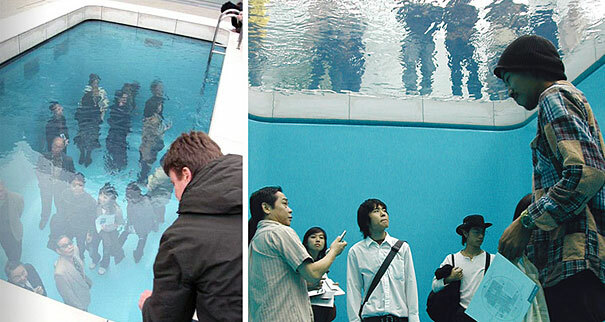 The truth is, a layer of water only some 10 centimeters deep is suspended over transparent glass. 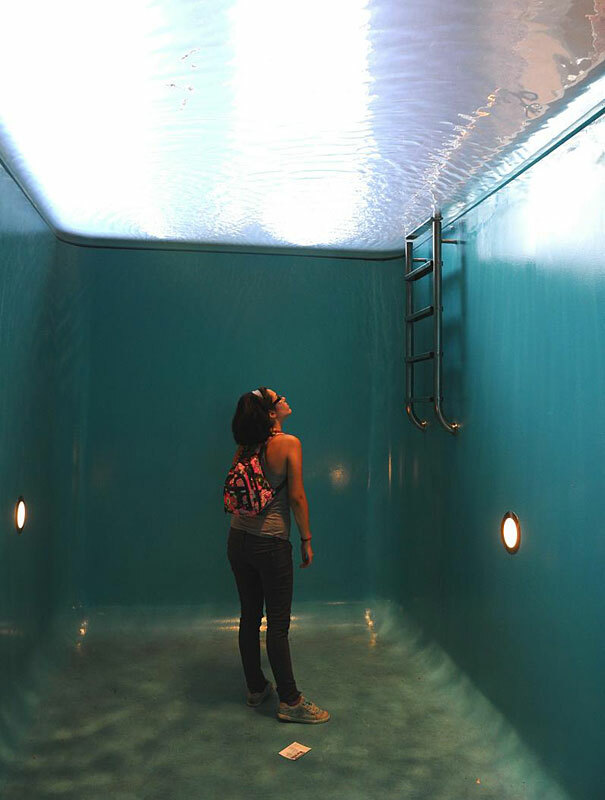 Below the glass is an empty space with aquamarine walls that viewers can enter. 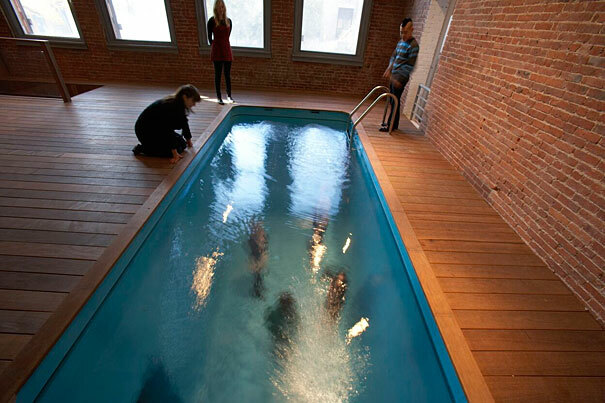 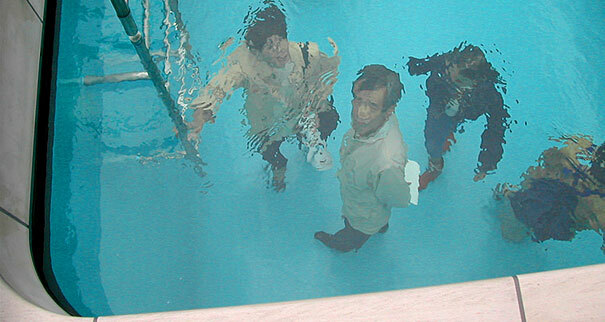 Fake pools were installed at the PS1 Art Center in New York and the 21st Century Art Museum in Kanazawa, Japan.